Start with great nutrition – There is a plethora of information out there about pet nutrition. Stick with the highest quality puppy food you can afford. Like people, pets can greatly benefit from a healthy diet, and pet foods are not all created equal. To start, we’ll be happy to give you our recommendations based on your puppy’s breed and lifestyle. Look for the AAFCO symbol on pet food packaging to ensure it’s nutritionally balanced and complete. Make sure that you give lots of praise when your puppy goes to the bathroom outside, and just as important, never punish your puppy for an indoor accident. 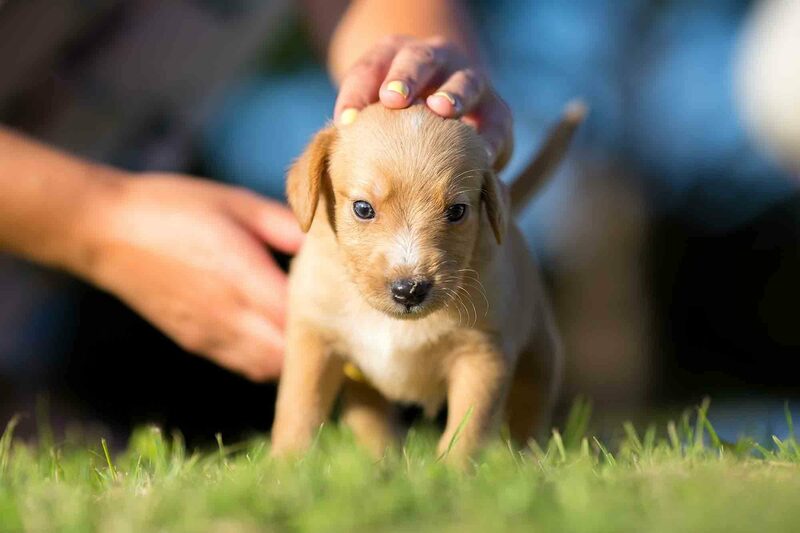 Teach obedience – Until your puppy is fully vaccinated, they should not be around other dogs or go to public places in order to minimize disease. However, there’s a lot you can do around your home to begin good habits and start teaching obedience. Basic commands like sit, stay, and come, are necessary for good doggy manners. Keep training sessions very short (5 minutes tops) and offer lots of praise and your loving reassurance. Later, a puppy class is a great way to go, and most offer classes starting at 4-6 months. Make time for play – This is the easy one! Your puppy will love to play, and this is such a joy with puppies. Make playtime a routine and your puppy will bond with you quickly. Exposure in a safe way to new people, animals, and experiences will avoid behavior problems down the road, so make proper socialization a priority. If you notice any of these, call us right away or bring your puppy in. it’s also important to know where to take your puppy in the event of an emergency. Hopefully, you’ll never need it, but planning ahead can save a lot of anxiety! Congratulations on your first puppy! We hope these basics have given you a head start on caring for your little one, and we can’t wait to help you get started. Give us a call to set up a first appointment today.